your application has been sent successfully we will contact you soon. It is a pleasure to welcome you to the Enterprise Group website. Enterprise Group was incorporated on 24th November 2008 and is the holding company of the Group. The original entity was Enterprise Insurance Company, established in 1924 and is the oldest insurance company in Ghana. It was listed on the Ghana Stock Exchange (GSE) in 1991 as the first insurance company to be publicly listed in Ghana. 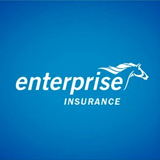 Following a restructuring of the Group in 2010, Enterprise Group was incorporated to become the holding company and was listed on GSE in place of Enterprise Insurance which was subsequently delisted. "In all our markets, our pedigree will be recognized, our strength respected, our expertise valued and our solutions sought by ALL who desire an ADVANTAGE in life." Our mission is to "provide all who come into contact with us their desired ADVANTAGE because…we are the best at what we do!" The Enterprise Group currently has five operating subsidiaries, namely, Enterprise Insurance, Enterprise Life, Enterprise Trustees, Enterprise Properties and Transitions. With an annual turnover in the region of GHS 132million and a total asset base of over GHS 220, Enterprise is a leading provider of financial services in Ghana. The Enterprise Group has entered into a new strategic partnership with Black Star Holdings Limited (BSHL) to replace Sanlam Emerging Markets. Black Star Holdings Limited (BSHL) is a wholly owned subsidiary of Leapfrog Strategic African Investments (LSAI), which is a separate account managed by Leapfrog Investments, and in which Prudential Financial, Inc., USA (PFI) is the primary investor. Under the transaction, BSHL has acquired Sanlam's stake in the three subsidiary companies of Enterprise Group: Enterprise Insurance, Enterprise Life, Enterprise Trustees as well as Enterprise Properties. Enterprise Insurance is the largest private insurance company in Ghana and is currently the highest ranked general insurance company in the Club 100 listing. It was the first insurance company to be listed on the Ghana Stock Exchange. The Company has won many awards over the years including CIMG’s "Insurance Company of the Year" in 2014 and 2015, and the Gold award in the Business and Financial Services Excellence awards. It is currently rated in Category ‘A’ by Global Credit Rating of South Africa, for Claims Paying Ability. Its strength in claims payment was confirmed in the aftermath of the unfortunate Accra floods of 3rd June, 2015 for which the Company paid approximately GHS 70m in claims within weeks of the sad event. That notwithstanding, the Company was nevertheless able to deliver Underwriting Profit for 2015, a confirmation of its formidable reinsurance structure. Enterprise Life, is Ghana’s leading life Insurance company a position it attained in 2015 after fifteen years in business , the highest ranked insurance company and leader in the financial services sector according to the Ghana Club 100 rankings (2014). Enterprise Life offers affordable life changing solutions, including the newly Enhanced Funeral Finance Plan and The Family Income Protection Plan, amongst an assortment of innovative and tailor-made products and services. Currently, Enterprise Life has a presence in the Gambia. 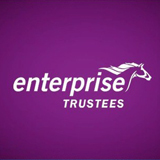 Enterprise Trustees is the Group’s pensions subsidiary. It is licensed by the National Pensions Regulatory Authority under the National Pensions Act, 2008 (Act 766) as a Corporate Trustee to administer Tiers 2 and 3 Pensions Schemes. The Company ranks among the biggest pension administrators in Ghana with a portfolio of over 27 schemes (including Employer Sponsored, Master Trust and Personal Pension Schemes) worth over GHS 690M. Enterprise Properties ensures the Group's assets are put to the best and most efficient use, providing facilities that meet the strictest international standards while making a good return on investment for shareholders. Its maiden project was Enterprise Gardens in Roman Ridge, a project undertaken jointly with Taysec Construction. Its current project is a 14-floor office complex located on 7th Avenue, Ridge West, Accra. Enterprise Properties is wholly-owned by Enterprise Group. EFSG operates as a provider of comprehensive funeral services from the iconic funeral home in Haatso. Under a Distribution Agreement with Enterprise Life, EFSG sells funeral insurance policies which, on maturity, will be used to cover the cost of a funeral arranged by Enterprise Funeral Services. EFSG will operate under the name ‘Transitions’. It is wholly-owned by Enterprise Life. We hope you enjoyed browsing our website. Do get in touch with us to see how we can help you work out which of our many products and services can be used to ‘Your Advantage’. Trevor Trefgarne, the Chairman of EGL, is a graduate of Cranfield School of Management and is a non-executive Director of Franklin Templeton Investment Funds SICAV. Mr. Trefgarne is British. Keli Gadzekpo was appointed the Chief Executive Officer of Enterprise Group Ltd in 2014. He is the Co-founder and Executive Vice-Chairman of Databank Financial Services and has over 15 years experience in investment banking. Since co-founding Databank, he has contributed to the development of the capital market and the Stock Exchange in Ghana through his oversight of Databank Brokerage Limited. 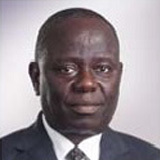 Mr. Gadzekpo is the Chairman of the Databank Foundation and also a Director of Ventures & Acquisitions Limited, Databank Epack Investment Fund and the North Ridge School. Mr. Gadzekpo went to Achimota School; he holds a BSc in Accounting from the Brigham Young University and is a CPA from the USA. He is also a Mason Fellow of the John F. Kennedy School of Government, Harvard University where he earned a Masters degree in Public Administration. He is Ghanaian. Mr. Martin Eson-Benjamin is the CEO of the Millennium Development Authority of Ghana (MiDA), the accountable entity for Ghana's Millennium Challenge Account Programme. 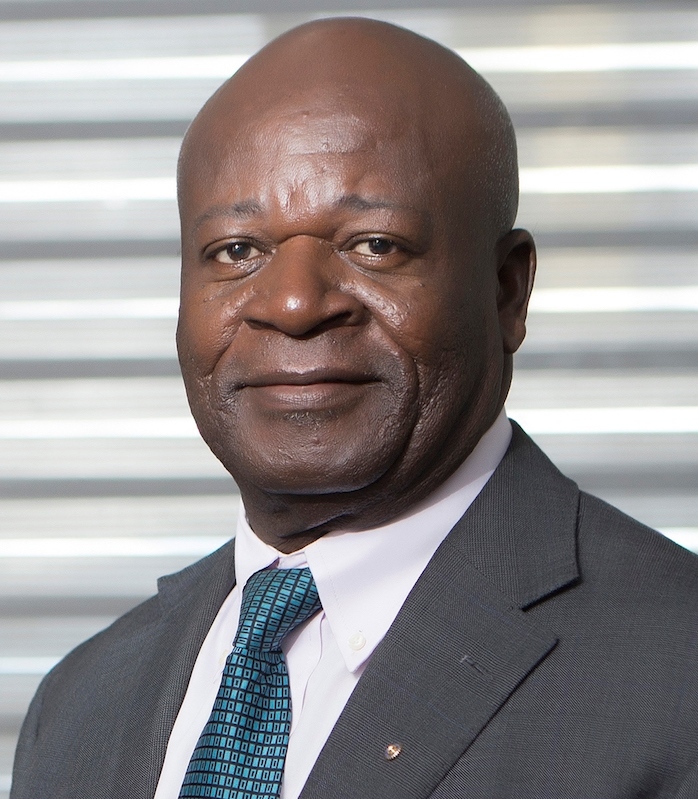 Martin worked with Kumasi Brewery Ltd, a subsidiary of UAC Ghana Limited from 1972-1981 and moved to Unilever Ghana Limited from 1982 to 1995, and rose to the position of Marketing Director. 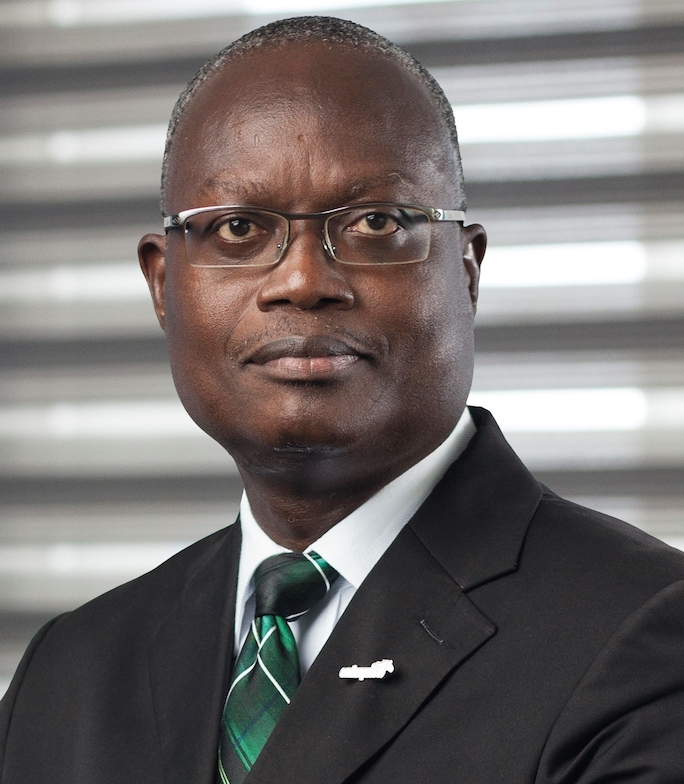 He rejoined Ghana Breweries Limited, a subsidiary of Heineken International in 1995, for a total of 9 years, rising to the position of Managing Director and Chairman of the Board of Directors. 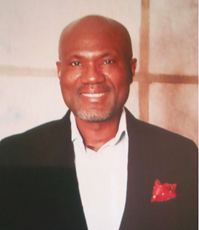 Mr. Eson-Benjamin has also served on the Board's of various organizations. Board appointments include; Chairman of the Multimedia Broadcasting Company Ltd, Chairman of Ghana Agro Foods Company (GAFCO), and as Director of CFAO, the Kama Group of Companies and the Ningo Salt Company Ltd. He was awarded the National Order of the Volta in 2008. He is Ghanaian. 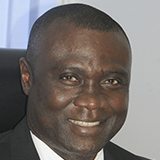 George Otoo was the Chief Executive Officer of Enterprise Group Ltd from 2010 to May 2014. He holds an MBA in Insurance and is a Chartered Insurer of many years’ experience. 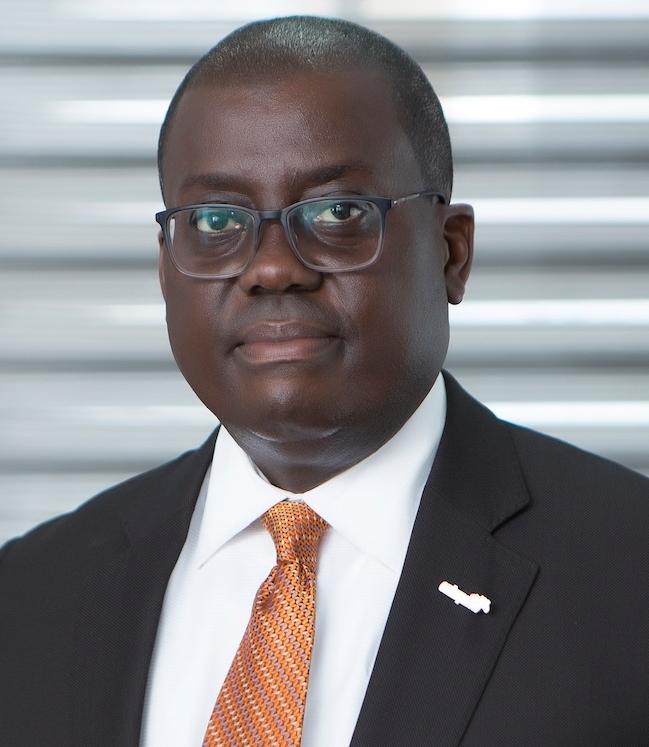 He is an Executive Council Member of the Ghana Insurers' Association, the Insurance Institute of Ghana and the West African Insurance Companies Association (WAICA). He is a Director of Consortium House Limited, Databank Pack Investment Fund Limited and Mainstream Reinsurance Company Limited. 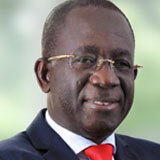 Mr. Otoo joined EIC in 1981, and was Managing Director from 1999 to 2010. 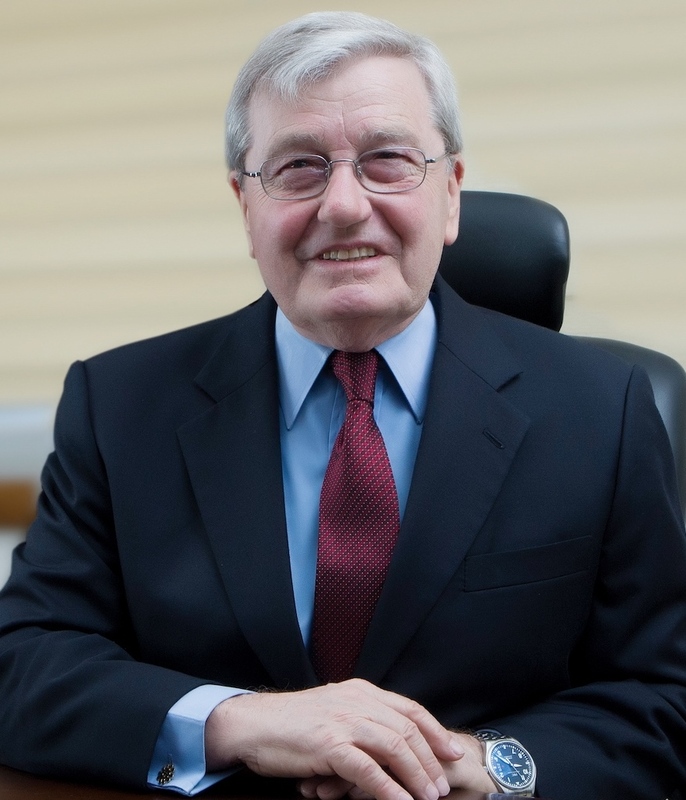 He retired as the Chief Executive Officer of Enterprise Group Ltd in May 2014. He is Ghanaian. Angela Lamensdorf Ofori-Atta is a professor of clinical psychology at the University of Ghana Medical School. 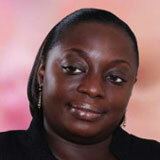 She was previously part of an International Labor Organization (ILO) mission to Liberia to assess employment issues. She also worked on President Ellen Johnson-Sirleaf’s election campaign in 2005. 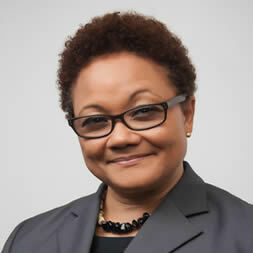 Angela entered government as a deputy minister for manpower development. Angela set up and ran two volunteer organizations that spread HIV/AIDS knowledge and renovated the children’s ward of the Accra Psychiatric Hospital. Between 1994 and 1998, she was part of a team that set up mental health services in the most deprived region of Ghana, the Upper West Region. Angela has a bachelor’s degree in psychology and zoology from the University of Ghana and a doctorate from the University of British Columbia, where she was a Commonwealth Scholar for six years. Daniel was appointed the Chief Finance Officer for Enterprise Group Limited on 1st April, 2016 after serving as the General Manager, Finance for Enterprise Life Assurance Company Limited between June 11 2011 and March 31 2016. Prior to joining the Enterprise family, Daniel worked at the Coca-Cola Bottling Company where he started as a Management Accountant in 1998 and rose through the ranks to become the Head of Finance in the year 2000. Daniel also worked in different capacities with Rank Hovis, UK, and Allied Walthamstow, UK between 1995 and 1998. He has attended a vast spread of international seminars and training programs, notable amongst them are, Coca-Cola Fast 1&2 development programs, National Examining Board for Supervisory Management, UK, Process and value engineering in Manufacturing, UK. Daniel Larbi-Tieku is a Chartered Accountant and a member of the Institute of Chartered Accountants, Ghana. He is also a Fellow of the Association of Chartered and Certified Accountants, UK. Daniel is a Bachelor of Science degree holder in Accounting from the University of Ghana and a finalist in a Master of Finance Degree with the University of Wales (Distance Learning). He currently serves on the boards of Enterprise Trustees Tier 2, Enterprise Trustees Master Fund and Enterprise Trustees Tier 3. Mr. C.C. Bruce Jnr. is an associate of the Chartered Insurance Institute of the United Kingdom and specialized in Life Insurance. He is the Executive Director. He has had over thirty (30) years experience in the insurance industry and serves as the current Chairman of the Life Council of Ghana Insurance Association of Ghana and Vice President of Ghana Insurance Association. 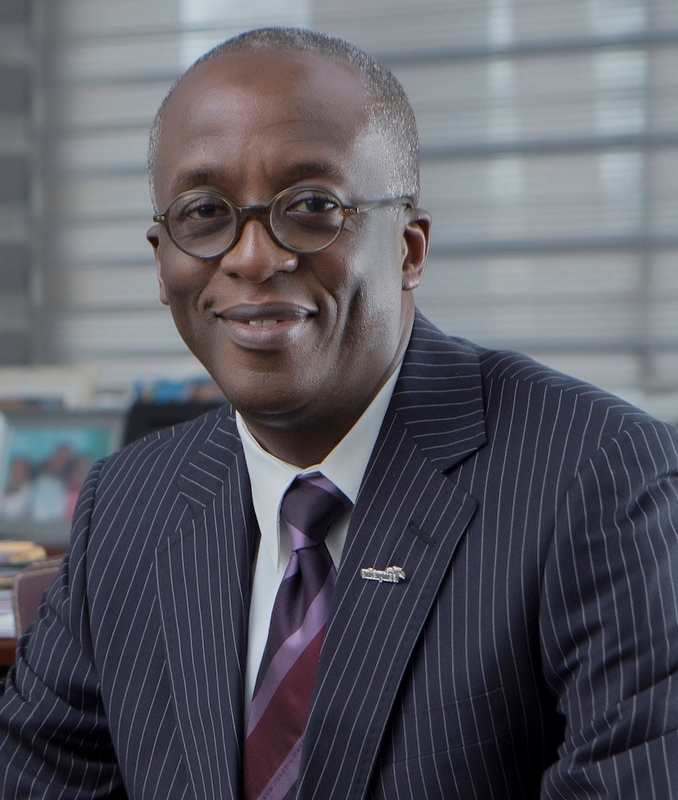 He was recently re-elected as the Chairman of AIO and Life Committee of the African Insurance Organization. C. C started his insurance career with the Great African Insurance Company in 1981. He Joined the Company 6 months after operations started and worked in the Life, Fire and Marine Departments. He was also with the Donewell Insurance Company between 1992 and 2000, having served as a pioneer staff and as Chief Manager (Underwriting) responsible for both Life and Non-Life Technical Departments. C.C was also the pioneer CEO of the Enterprise Life which is the fastest growing Life Assurance Company in Ghana and ranked no.1 in the Financial Services Sector and no. 3 overall in the 2011 Ghana Top 100 corporate ranking. A quantity surveyor and a construction engineer. Holds a BSc in Building Technology and Construction Management.Have over 30 years of diversified professional experience in construction and related activities.Held various positions as Senior Quantity Surveyor, Risk and Insurance. Manager and Managing Quantity Surveyorat Taysec Construction Limited(TCL) then part of Taylor Woodrow Group of Companies between 1989 to 2009. Prior to joining TCL, worked for T.H. Gorringe Limited in Crawley and Petra Contracts Limited and Petra Contracts Limited in London U.K.Currently a member of the boards of Mainstream Re-Insurance Company ltd, Adansi Rural BankLtd, Board of Trustees of Prempeh College and chairman of Prestige Capital Fund Ltd.Prior to this served on the boards of Bulk Storage and Transportation Ltd and Prempeh College. Presently, the Chief Executive Officer (CEO) of Conworks InvestmentsCompany Ltd and Premier First Aid and Safety Equipment Ltd(FASE).Member of the American Society and the Institute of Directors of Ghana. He is the Co-founder and Executive Vice-Chairman of Databank Financial Services and has over 15 years experience in investment banking. Since co-founding Databank, he has contributed to the development of the capital market and the Stock Exchange in Ghana through his oversight of Databank Brokerage Limited. Mr. Gadzekpo is the Chairman of the Databank Foundation and also a Director of Ventures & Acquisitions Limited, Databank Epack Investment Fund and the North Ridge School. Mr. Gadzekpo went to Achimota School; he holds a BSc in Accounting from the Brigham Young University and is a CPA from the USA. He is also a Mason Fellow of the John F. Kennedy School of Government, Harvard University where he earned a Masters degree in Public Administration.He is Ghanaian. Daniel was appointed the Chief Finance Officer for Enterprise Group Limited on 1st April, 2016 after serving as the General Manager, Finance for Enterprise Life Assurance Company Limited between June 11 2011 and March 31 2016. Prior to joining the Enterprise family Daniel worked at the Coca-Cola Bottling Company where he started as a Management Accountant in 1998 and rose through the ranks to become the Head of Finance in the year 2000. Kwame is a Fellow of the Insurance Institute of Canada (FCIP), and holds a Bachelor of Arts Degree, as well as an Executive MBA in Marketing both from the University of Ghana. 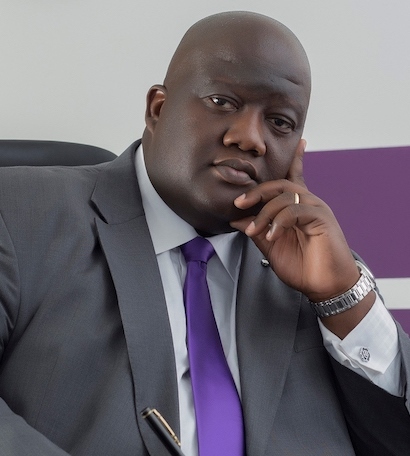 He joined EIC in 1997 rising to become General Manager, Operations in 2001 and Executive Director in January 2010.Kwame is a seasoned business leader with extensive experience in the insurance industry. Amma is responsible for the HR function of the Group and its subsidiaries, with regard to strategy, policy development as well as developing talent across the Group to multiply leadership capability to ensure their competitive survival. Amma holds an MSc in Human Resource Management and Industrial Relations from the London School of Economics (LSE) in the UK and a Bachelor's degree in Psychology from the University of Ghana. Prior to joining Enterprise Group Limited, she worked with Standard Chartered Bank in Ghana where she held senior management roles in HR that cut across the various strategic business units of the bank. In 2010, she worked with the Agricultural Development Bank in Ghana, where she spearheaded the formulation, execution and embedding of a performance management system across the bank, which has impacted the bank positively. She also had the opportunity of working with the International Labour Organisation in Geneva on the Infocus Programme on Strengthening Social Dialogue which was an aspect of the "decent work" agenda. She is a resource person and a mentor for Progress Intern and Mentoring Institute (PIMI) where she actively participates in the development students and young people in preparation for the world of work. Joseph comes to this position with a strong dedication to client service, as until this engagement, he was Assistant General Manager Sales & Marketing for Enterprise Trustees Ltd. He has had over 15 years’ experience in the Enterprise Group performing various leadership roles. Until joining Enterprise Trustees the pension’s subsidiary of the Group, Joseph was at Enterprise Insurance holding various leadership positions. As Branch Manager he turned Tema(2001-2008) and Airport(2009-2011) Branches into key revenue Units within 12 months of his leadership there. His relationship with Enterprise began in 1998 having graduated from the University of Ghana with a Bachelor of Arts Degree in Political Science and Sociology. He holds a Diploma in Insurance & Pensions from the West Africa Insurance Institute (WAII) in The Gambia, having completed with Distinction. He is a Certified CII with the Chartered Insurance Institute of UK. In 2010 Joseph successfully completed a 12 month Senior Management Development program from the University of Stellenbosch in South Africa as part of a Sanlam training program for executive development. He has undergone various training in Ghana, Nigeria and South Africa. He is an ardent golfer as well. Sadia comes on board with vast experience in legal and company secretarial practice, specifically in the area of corporate governance. She holds a Bachelor of Laws Degree from the University of London and a Masters Degree in Petroleum Law & Policy from the University of Dundee. Prior to her appointment, she was a Legal and Governance Consultant. Her previous roles include, General Counsel and Company Secretary at Stanbic Bank Ghana, Partner of Finance and Energy at Oxford and Beaumont Solicitors and Senior Associate at Bentsil Enchill, Letsa & Ankomah. Sadia is a member of the Law Society of England & Wales, Ghana Bar Association and Sierra Leone Bar Association and is also a Fellow of the Institute of Chartered Secretaries & Administrators (UK). Jackie was first appointed as a Sales Manager for our Tema Branch in 2001 and rose to become the Branch Manager in 2003. In 2004, she was moved to join the operations team as the Head for Customer Service and later Head of New Business in 2005. In 2009, Jackie was promoted to Senior Manager Level in charge of Operations and became the Assistant General Manager, Operations in 2010. She rose to become the Deputy General Manager in charge of Distribution in 2011 and now General Manager, Operations effective September 1, 2012. She holds a degree in Economics and Sociology from the University of Ghana Legon, and an EMBA in Finance from the Business school of the same institution. She has also completed a Senior Management Development Program from the University of Stellenbosch in Cape Town, South Africa. She is a Chartered Insurer and an Associate of CII, UK. Furthermore, she holds an Advanced Diploma in Life and Disability Underwriting (DLDU) and an Advanced Diploma in Life and Disability Claims (DLDC) from the Assurance Medical Society of London. These qualifications make her the first Professional Life Underwriter and Claims Assessor in Ghana. 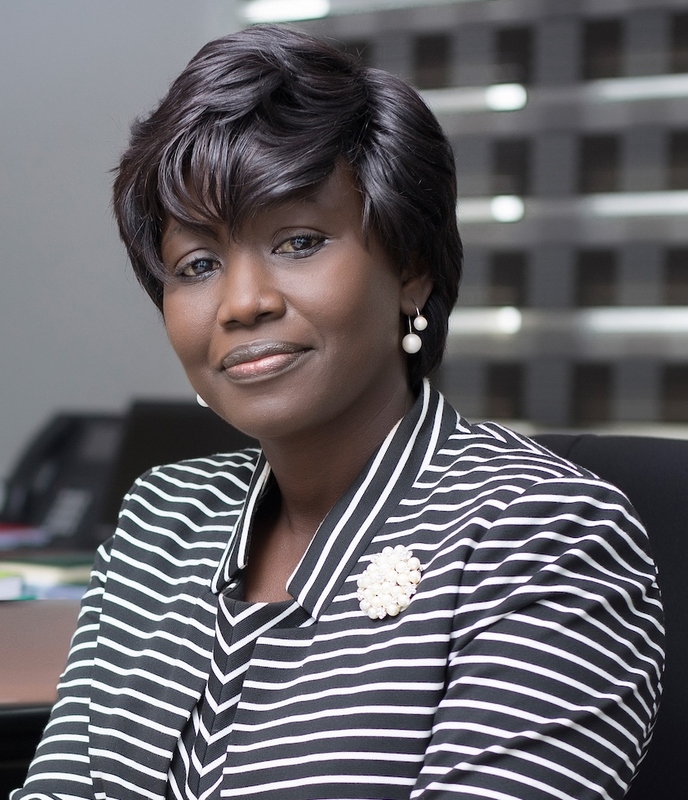 Ernestina is a Chartered Insurer from the Chartered Institute of Insurance, (UK) and holds a Bachelor of Arts Degree from the University of Ghana and an Executive MBA from The Ghana Institute of Management and Public Administration (GIMPA).She is a Seasoned Underwriter with over 18 years of experience. As part of her professional and career development she has attended various courses and training programmes in Germany, South Africa, Switzerland, Egypt and Ghana. She joined Enterprise Insurance in 1992. Mr. Gadzekpo is the Chairman of the Databank Foundation and also a Director of Ventures & Acquisitions Limited, Databank Epack Investment Fund and the North Ridge School. Mr. Gadzekpo went to Achimota School; he holds a BSc in Accounting from the Brigham Young University and is a CPA from the USA. He is also a Mason Fellow of the John F. Kennedy School of Government, Harvard University where he earned a Masters degree in Public Administration.He is Ghanaian. Mr. C.C Bruce. Jnr is an associate of the Chartered Insurance Institute of the United Kingdom and specialized in Life Insurance. Alex is a Chartered Accountant with several years of experience. He holds an Executive MBA in Finance as well as a Bachelor's Degree both from the University of Ghana, Legon. Alex had several years working experience with KPMG, an international firm of Chartered Accountants before joining Enterprise Insurance in November 1998. He has attended various training programmes and seminars both locally and internationally. He was appointed the Group Head, Audit & Corporate Assurance in June 2016. Seyram joins Enterprise Group, with a wealth of experience from Vodafone Ghana, where he performed various roles within the Information Technology and Communications function. He is responsible for the strategic management of the IT function across the Group. Prior to this appointment, he was the Principal Consultant of Decision-I, a specialist business Intelligence and analytics consultancy in Ghana. 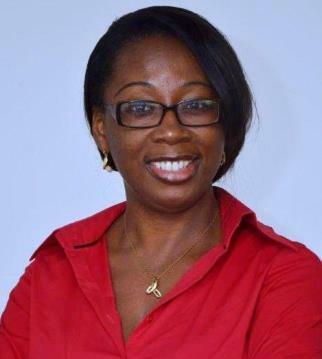 Phyllis is a Chartered Insurance Professional (CIP, Canada) and holds an Executive MBA in Marketing with a Bsc. in Management. 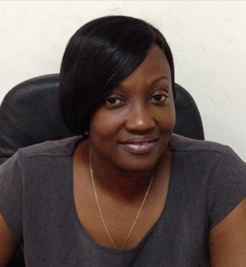 Phyllis began her professional marketing career with the Ghanaian Chronicle as their General Manager. Prior to joining Enterprise Insurance, Phyllis was for eight years the General Manager of AdMedia FCB, an advertising agency affiliated with Foote, Cone and Belding worldwide. Phyllis contributed significantly to AdMedia in the marketing of the local and international brands they represented. She now brings her significant experience in marketing and brand communication to the promotion of the Enterprise brand. Vestibulum tortor quam, feugiat vitae, ultricies eget, tempor sit amet, ante. Donec eu libero sit amet quam egestas semper. Aenean ultricies mi vitae est. Mauris placerat eleifend leo. Quisque sit amet est et sapien ullamcorper pharetra. Vestibulum erat wisi, condimentum sed, commodo vitae, ornare sit amet, wisi. Aenean fermentum, elit eget tincidunt condimentum, eros ipsum rutrum orci, sagittis tempus lacus enim ac dui. A click would download the report. Enterprise Group continues to position itself well in the area of corporate social responsibility. For the Group, corporate social initiatives are clear indications of its commitment to positively impact the communities in which it operates by giving “an advantage” to all stakeholders. This is critical for all our businesses and in line with our corporate Values of “Friendliness, Professionalism, Reliability, Excellence and Trust”. The focus of our community activities have been mainly in the areas of health and education. The donation of a dialysis machine to the Police Hospital Dialysis Centre to support patients undergoing treatment. This was in response to the alarming statistics with regards to the increasing number of people with kidney diseases in Ghana. Providing this equipment has contributed immensely to treatment for these patients. 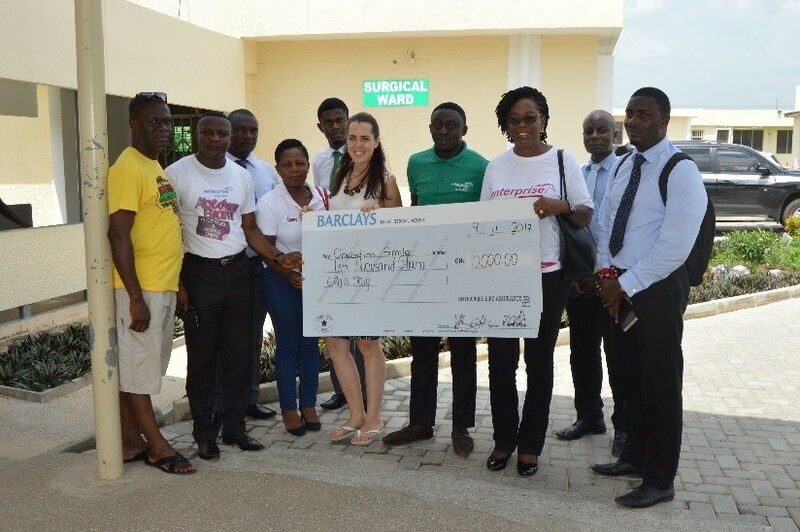 Following the June 3rd 2015 fire and flood disaster, which left a number of people homeless and many injured and hospitalized in Accra, Enterprise Group responded by making a donation to the Plastic Surgery and Burns Centre at the Korle-Bu Teaching Hospital. The donation of Eighty-Five Thousand Ghana Cedis (GHS85,000.00) was used cater for the immediate health care needs of the injured hospitalized and also to purchase an “Infusion Pump” which was required for treatment at the Centre. This donation reinforced our values of “friendliness” by responding to the needs of our community in difficult times and demonstrated that “we care”; as well as “Trust” to our stakeholders that we remain resolute in our promise to give them an advantage in life. Employees of the Group who were also affected by the flood were equally supported. The Princess Louis Marie Children’s hospital in Accra also benefitted through the donation of an oxygen extractor to assist children who had breathing challenges at the hospital. The employees of Enterprise Group made a donation of sanitary items to the children’s ward of the Psychiatric Hospital in Accra. In partnership with MOMIC students association of the University of Ghana Medical School, Enterprise supported the refurbishment of the playroom of the psychiatric centre at Korle-Bu. In partnership with Zawadi Africa, an NGO supporting brilliant but needy girls in education, the Group supported two young adults to pursue tertiary education at the Kwame Nkrumah University of Science and Technology. These young people per the programme, become “ Enterprise Ambassadors” and obtain tertiary education which they would otherwise have missed as a result of financial challenges. University of Ghana Medical Students Exchange Programme was also supported. As part of an employee volunteering initiative, the staff of Enterprise Life spent a day with the pupils of Tinkong Presbyterian School near Koforidua, where they engaged them in reading and other sporting and fun activities; as well as donating school bags filled with school items for their use. For the third time, Enterprise Life together with its partner Sanlam, sponsored a Ghanaian economic journalist to the Summer School for Economic Journalists this year. The benefits of this development initiative is to ensure responsible reporting on economic issues in Ghana. A major developmental initiative was undertaken as a way of giving back to society this year was the SOS project . 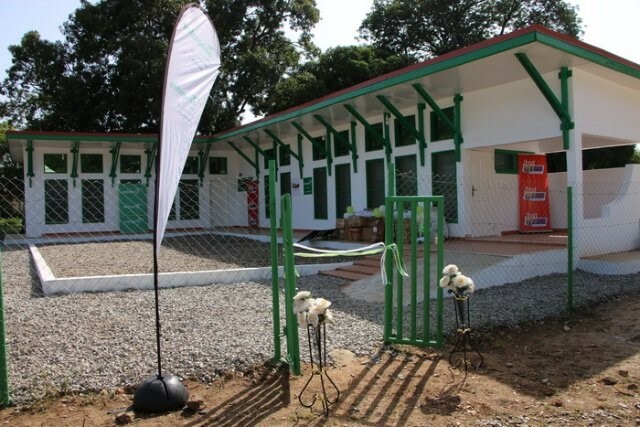 In partnership with Sanlam, Enterprise Life and Enterprise Group in 2015 began the construction of a GH¢435,000.00 social centre for the SOS village in Asokore Mampong in the Ashanti Region. This is an 18 month project which is planned for completion in March 2016. This community centre will serve the village and also be used to generate income to support the activities of the SOS village. It is noteworthy that the social initiatives within the year has been spread across the regions of Ghana to ensure that all stakeholders benefit from them. Our projects have inspired trust and offered the desired advantage for all who come into contract with the brand “ Enterprise”. We look forward to years ahead where we will continue to deepen our relationships with our stakeholders through long-term sustainability initiatives that gives visibility and drives business performance. Enterprise Life has officially launched its Gambian subsidiary, Enterprise Life Gambia, at a colourful ceremony at the Coco Ocean Resort and Spa, Hotel in the Gambia, recently. Enterprise Life, the second-largest life insurance underwriter in the country, and the first company that has ventured out of the shores of Ghana. Ben Birch-Mensah, Country Manager- Enterprise Life Gambia, in an interview told the B & FT that there are strong indications the company will have an exciting future and a great story to tell. According to the Country Manager, the company was incorporated in November 2011 but received its operational license in May 2012. However business started officially in June 2012, with two individual life products and Group life policies,making Enterprise Life Gambia the third life underwriter in the country. B & FT learnt that the move to set up an offshore subsidiary started two years ago. The choice of Gambia was as a result of a long history of political stability and consistent economic growth. The Country Manager, Birch-Mensah further indicated he was highly impressed with the level of patronage and acceptance of Enterprise Life by the people of the Gambia and also took the opportunity to assure the public of Enterprise Life commitment to introduce more innovative and affordable products tailored at meeting the needs of the people of the Gambia. Within Enterprise Group I've found a fast-paced environment, with a company culture grounded in a mission to deliver an advantage to our customers. Working within the Enterprise Group presents opportunities, challenges, passion, trust and fairness... I've experienced all of them being in an energetic team. 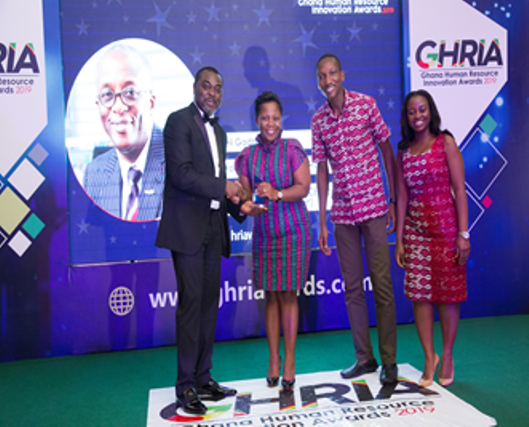 Enterprise Group scored a hat trick when the company received three prestigious awards at the 2nd Ghana Human Resource Innovations Awards (CHRIA) held at the Movenpick Ambasssador Hotel on 22nd February 2019.. The company was adjudged the HR Innovation of the year, for the Insurance Industry; Mr. Keli Gadzekpo, Chief Executive Officer (CEO) for Enterprise Group was awarded the Most People-Focused CEO for the Private Sector and Mrs. Amma Korantema Ansah, General Manager, Human Resources was named among the Top 20 HR Leaders in Ghana. The event organized by Instinct Wave, a major event publication and consulting company, is aimed at celebrating leading Human Resource practitioners and organizations who have demonstrated Excellence & Innovation in the corporate sector over the years. Expressing appreciation for the recognition, Mrs. Amma Korantema Ansah emphasized the essential role employees play in every organization, “Our people remain an integral part of the business and every Advantage we deliver to our clients starts from within the organization. These awards are in recognition of our commitment to create an enabling business environment for all employees in order to offer our customers ‘ an advantage” in all of our businesses”. 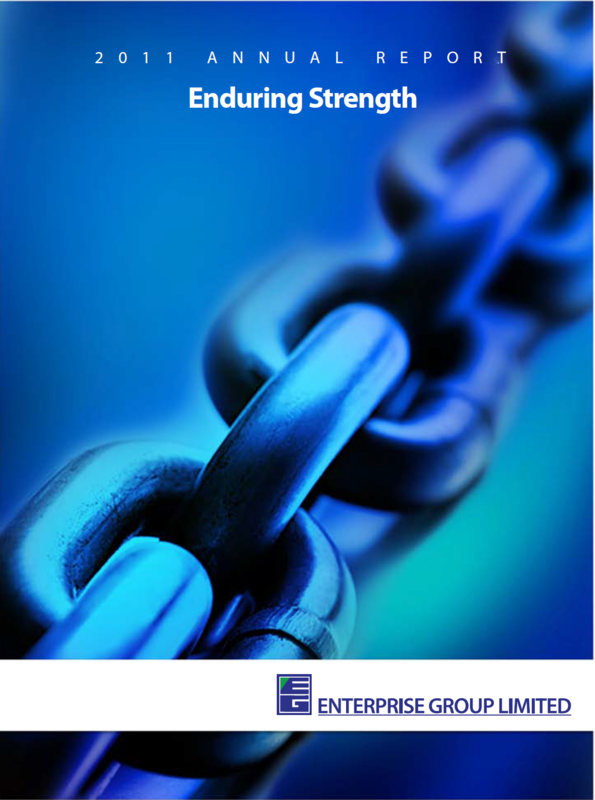 Enterprise Group is the leading financial services Group in Ghana comprising five operating companies: Enterprise Insurance, Enterprise Life, Enterprise Trustees, Enterprise Properties and Transitions. Headquartered in Accra, Ghana. Enterprise Group also has operations in The Gambia. Mrs. Solace Odamtten-Sowah joined Enterprise Life in 2008. A Chartered Insurer also from the Chartered Institute of Insurance (UK), Solace has been part of Senior Management for 7 years. She has been promoted to General Manager, Operations. Enterprise Group Limited has donated a sum of GH¢20,000.00 (Twenty thousand Ghana cedis only) to the “Save a kidney, Save a life” foundation on the occasion of the World Kidney Day, which was observed on Thursday, March 08, 2018. World Kidney Day, is a global campaign aimed at raising awareness on the importance of kidneys and also promote activities that will ensure healthy kidneys. Ever since its inception in 2006, it has been observed on the second Thursday of March with a special theme for this year centered on “Kidneys and Women’s Health”. Less than 20% of patients with Chronic Kidney Disease receive hemodialysis treatment due to the expensive treatment costs and poor coverage of national dialysis centers. The rest struggle to manage and some end up losing their lives. Speaking to the media after the donation, Mrs. Phyllis Woode-Nartey, Assistant General Manager for Business Development, Communication & Sales at Enterprise Insurance, reiterated the need for corporate organizations and non-governmental institutions to continuously assist the Kidney Dialysis Centre in order to support treatment and save precious lives of patients with the Chronic Kidney Disease. Dr. Sylvia Annie, on behalf of the foundation, thanked representatives of the Enterprise Group for their benevolence. Enterprise Group Limited and its subsidiaries’ donation to the Kidney Dialysis Centre is part of the Group’s Corporate Social Responsibility initiatives for the year in line with their mission to give an advantage to all. Enterprise Group as part of its Corporate Social Responsibility initiatives for the year, has donated GH¢10,000.00 to Operation Smile Ghana, an International Non-Governmental Agency. Operation Smile is an international medical charity that has provided hundreds of thousands of free surgeries for children and young adults in developing countries who are born with cleft lip, cleft palate or other facial defects. The donation was made when representatives of the Enterprise Group paid a visit to the Koforidua Regional Hospital on 9th November, 2017. In total, 343 children with Cleft Palate defect were screened, out of which 143 were successfully operated upon. The event spanned 10-days, from 2nd to 13th November, 2017. The surgery was supported by forty-nine volunteers from Ghana and others from ten different Nationalities. The volunteers comprised Medical Practitioners, Anesthetists, Nurses as well as other medical personnel assembled by Operation Smile to help put smiles on the faces of children suffering from the Cleft Palate defects. Enterprise Group continues to deepen its commitment to giving an advantage to all through its Corporate Social Responsibility programs and initiatives. The donation falls in line with the Group’s Corporate Social Responsibility focus on Health and Education. The donation also reinforces, one of the group’s core value of “friendliness” as exhibited by the support and care offered to the children. Mrs. Phyllis Woode-Nartey, AGM, Business Development, Communication and Sales (2nd right), Mrs. Ama Ansah, Group Head, Human Resource (3rd left), with some staff of Operation Smile and Enterprise Group. Enterprise Insurance has been inducted into the Chartered Institute of Marketing, Ghana (CIMG) Hall of Fame category during the CIMG awards dinner held on 23rd September 2017, after winning the CIMG award for insurance group Insurance Company of the year (General Insurance) for three every year consecutively since 2013. Consecutive years. The induction took place during the CIMG awards dinner held on 23rd September 2017. The Chartered Institute of Marketing, Ghana (CIMG) ultimately aims at seeing organizations (both private and public) embrace the marketing concept, and be marketing oriented in their operations. The Annual Marketing Performance Awards plays a catalytic role in shaping the future of businesses. Enterprise Insurance was adjudged this honor in due recognition of having achieving achieved corporate excellence not forgetting thein the area of innovation and development schemes that offers value and an advantage to Ghanaians. At the event, our innovations were brought to the cognizance of Ghanaians the introduction of the Enterprise market a one-stop-shop for all products for the various subsidiaries and Hei-Julor Plus a 24hr rapid response from a security team when triggered in the event of a burglary. The association also recognized our the Company’s impressive performance regarding thein the area of total gross premium and profit after tax which was GHS150,159,000 and GHS17,021,000 respectively. Income and profit generated for the year which they termed as a stellar performance in the citation. 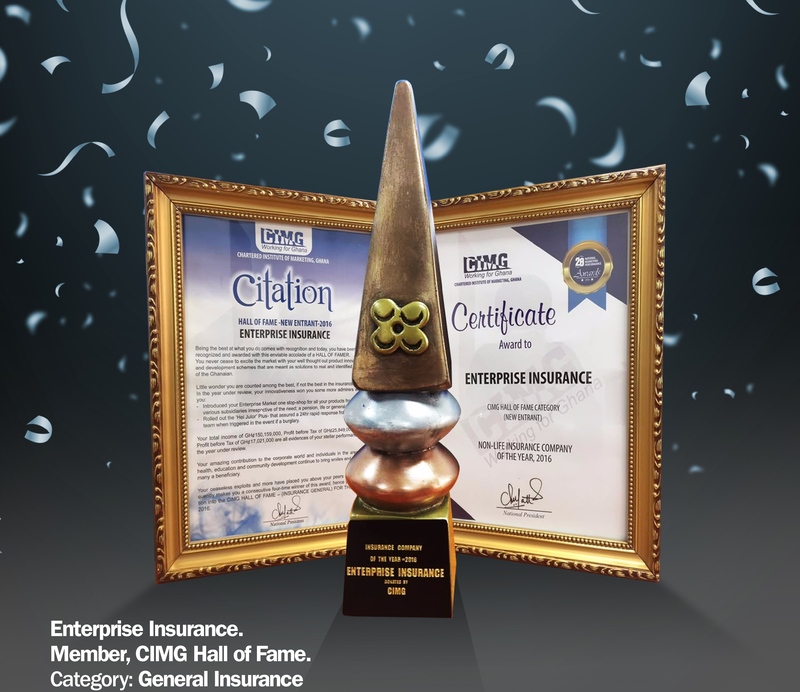 Management of Enterprise Insurance is excited about the acknowledgment and dedicates the award to its clients who inspired, trusted and supported them to reach attain this milestone honor. Enterprise Trustees Ltd, the leading private pension administration company in Ghana has held a consultative meeting with Stakeholders in the Mortgage Industry on pension-backed mortgages. The event which came on last Thursday in Accra was primarily to allow the National Pensions Regulatory Authority lead discussions aimed at interrogating the mortgage provisions in the Pensions Act with the ultimate aim of making pension-backed mortgage a reality for scheme members. Mr. Fiifi Kwakye, the Board Chairman of Enterprise Trustees, welcoming invited guests indicated, “We are excited to once again lead an initiative that will ensure the reality of pension-backed mortgages for scheme members. This consultative session is to provide the National Pensions Regulatory Authority (NPRA) with the platform to engage closely with relevant stakeholders”. The Chief Executive Officer of NPRA, Mr. Hayford Atta-Krufi underscored the importance of such a session which brought together Trustees, mortgage providers, real estate developers and employers. He assured workers they are committed to ensuring workers benefit fully from their pension contributions. Applauding Enterprise Trustees on the initiative, Mr. Ernest Amartey Vondee, the Director of Planning, Research, Monitoring and Evaluation at the NNPRA who did a presentation reiterated the need for collaboration among stakeholders to make Pension-backed mortgages a reality. The General Manager of Enterprise Trustees, Mr. Joseph Ampofo, closing the session thanked guests for their active participation and reechoed the need for more collaboration. “We intend to submit a memoranda on discussions held here to the NPRA to help them shape the impending guidelines yet to be issued, to be more applicable to making Pension Backed Mortgages a reality and not a myth”. Enterprise Group, a leading insurance and financial institution in Ghana has donated an amount of ¢75,000.00 to the “Save a kidney, save a life” foundation. This philanthropic gesture was made to the administrative authorities of the Police Hospital, contributing towards the purchase of a Dialysis Machine for the hospital. This is also a follow up to an earlier donation made by Enterprise Insurance, a subsidiary of the Enterprise Group to the hospital. The General Manager and Group HR of the Enterprise Group, Amma Ansah, told the media after the presentation that “Research shows that the annual mortality rate per 100,000 people from chronic kidney disease in Ghana has increased by 10.6% since 1990, an average of 0.5% a year." Mrs. Ansah used the platform to remind Ghanaians that health is wealth. She surmised that there was more work to be done and more effort to be put in slowing down the rate of kidney related deaths in the country and she hoped that this small gesture made by The Enterprise Group would be a clarion call to all and sundry to offer their service to the health related needs of the nation. 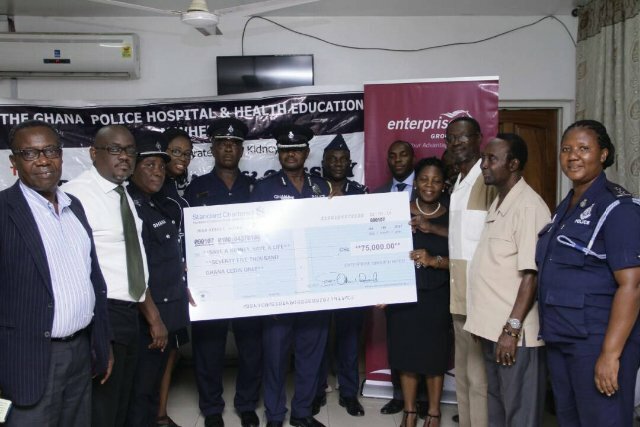 On his part, The Chairman of the Board of Directors of the Police Hospital Dialysis Center, Mr. Godfred Nyanteh, was overjoyed by the gesture from the Enterprise Group and lauded corporate Ghana in responding to the clarion call of help. “We all know the tagline of Enterprise to be ‘your advantage’, and indeed you have become the advantage to all who suffer from kidney related ailments,” he said. He also commented that their offices will always have its doors open for further like-partnerships between Enterprise Group and the Police Hospital. Enterprise Group is a giant in the insurance industry, with subsidiaries championing their individual industries. Its subsidiaries include Enterprise Insurance, Enterprise Life, Enterprise Trustees, Enterprise Properties and Transitions, a funeral services company. Enterprise Group Limited (Enterprise Group) has informed the Ghana Stock Exchange of an impending transaction to introduce a new strategic partner in place of Sanlam Emerging Markets Proprietary Limited of South Africa (Sanlam) in three of its subsidiary companies, namely Enterprise Life, Enterprise Insurance and Enterprise Trustees. Enterprise Group will retain its majority stake in each of these subsidiary companies. The new strategic partner is Black Star Holdings Limited (BSHL), a wholly owned subsidiary of LeapFrog Strategic African Investments (LSAI). LSAI is a separate account managed by LeapFrog Investments and in which prudential Financial, Inc. is a primary investor. LeapFrog Investments have $ 1 billion in assets under management and a portfolio of companies across Africa and Asia focused on financial services and health. BSHL will acquire Sanlam’s stake in the three subsidiary companies of Enterprise Group for US$ 130 million. BSHL has also committed funds to support Enterprise Group’s growth agenda over the coming years. The transaction is subject to regulatory approvals and notifications in Ghana and South Africa. Trevor Trefgarne, Board Chair of Enterprise Group says “This is an exciting transaction for Enterprise Group. With our new partner, LeapFrog Investments, we expect to be able to grasp growth opportunities both in Ghana and across the wider West Africa Region. Enterprise appreciates the long and productive association with Sanlam in Ghana over the past 12 years. 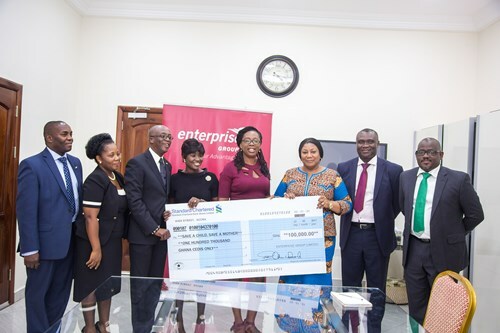 Enterprise Group Limited, a leading financial Group in Ghana has donated cash and insurance cover for the construction of the maternity unit under the “Save a Child, Save a Mother” initiative of the First Lady. The donation breaks down into a cash amount of GHS 100,000.00 to the fund and insurance cover to the tune of GHS8.4m for the project itself. The fund, which is an initiative of Her Excellency The First Lady, Mrs. Rebecca Akuffo Addo, seeks to provide relief to babies and mothers at the Komfo Anokye Teaching Hospital (KATH) by building an ultra-modern maternity wing at the hospital. The insurance cover, which was donated by, the general insurance subsidiary of the Group, Enterprise Insurance, takes the form of a Contractors All Risks insurance policy and protects the building itself from material damage which may occur while under construction. Also the third parties that may be accidentally injured while on the premises during the construction period are also covered. According to Mr Keli Gadzekpo, CEO of Enterprise Group, this is The Company’s way of ensuring that nothing untoward would hold up the project. This information was made known during the presentation of the cheque to The First Lady by Mr. Keli Gadzekpo. Mr. Gadzekpo congratulated the First Lady for taking up such a laudable cause, saying that Enterprise was moved by the plight of mothers and children at the Komfo Anokye Hospital, as revealed in the documentary produced by the Multi-media Group. The Company therefore felt compelled to help. He went on to say that this is not the first time Enterprise has reacted positively to a national cry, citing the example of Enterprise’s support to the victims of the June 3, 2015 twin disaster. On her part, the First Lady expressed her appreciation of the support by Enterprise, “We all know the tagline of Enterprise to be ‘your advantage’, and indeed you are providing an advantage to these women and children and the nation as a whole” she said. First Lady, expressed her deepest gratitude to all who have donated already, stating that there would be more of such public spirited initiatives from her office and encouraged companies and individuals alike to come on board. 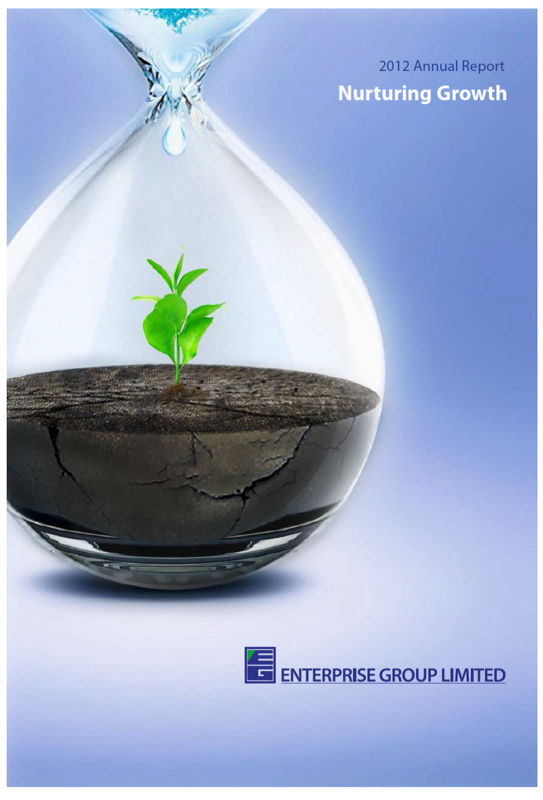 Subsidiaries of Enterprise Group Limited are industry leaders in their respective areas of specialization. The current subsidiaries of the Enterprise Group are Enterprise Insurance, Enterprise Life, Enterprise Trustees, Enterprise Properties and Enterprise Funeral Services which trades under the name Transitions. Enterprise Group on the 13th of March, 2017 opened an ultra-modern service center in Kumasi, which seeks to enhance service delivery to their numerous clientele in that region of Ghana. The Enterprise Market is an innovation of the Enterprise Group, and the only company in the insurance industry in Ghana to offer such an opportunity to its clients - a one stop shop service center for customers. Mr. Gadzekpo further stated that the Market will allow existing and prospective customers the opportunity to sign on to products from other subsidiaries and have their customer service concerns addressed. He went on to stress the intent of the company to cater to the needs of their customers from when they are born throughout their lifetime, or ‘from cradle to grave’ as it’s referred to in the Enterprise fraternity. The Chief Executive Office of the Enterprise Group reiterated the Group’s plans to open an “Enterprise Market in all the regional capitals of the country, which means that Ghanaians can excitedly look forward to 8 new Enterprise Markets in addition to the current Markets situated at the John Evans Atta- Mills High Street in Accra and Ahodwo in Kumasi. 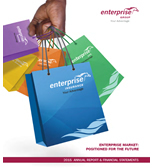 Currently, the Enterprise Group comprises of Enterprise Insurance, which has been in existence for over 90 years; Enterprise Life, the leading life underwriter in Ghana; Enterprise Trustees, one of the leading pensions solutions company in Ghana; Enterprise Properties, the estate wing of the Group and Enterprise Funeral Services, which trades as Transitions and is also the newest addition to the Group. Enterprise Trustees, the pension subsidiary of Enterprise Group and leader of Ghana’s Pension Industry hosted a cross section of participating employers on its Pension Scheme to a cocktail on 25th January, 2017. This was to usher in the New Year and provide an opportunity for such participating employers to also explore B2B opportunities. In attendance were the member nominated Trustees (Employer Reps who sit on the Boards of Schemes) and Independent Trustees and from both Master Trust and Employer Sponsored Schemes administered by Enterprise Trustees. Welcoming the invited guest the General Manager of Enterprise Trustees, Mr. Joseph Ampofo, affirmed the need to view the relationship as a partnership and thanked employers for entrusting their staff pensions to the company. To date, the company provides pension administration services for over 2,750 participating employers with a membership of about 280,000 at end of 2016. The consistent growth of the schemes assets through investment returns and contributions closed the year with over GH¢1B of assets under management re-affirming its Enterprise Trustees leadership in the Pension’s Industry. The General Manager used the occasion to announce the creation of a call centre as part of plans to increasing the service experience of members. He entreated representatives present to make the number 0302- 634704 available to their members for prompt resolution of queries. He further sought the co-operation of employers on 2017 activities which included a project to validate existing member data. This he said “demonstrates our resolve and commitment to ensuring communication with members are enhanced”. 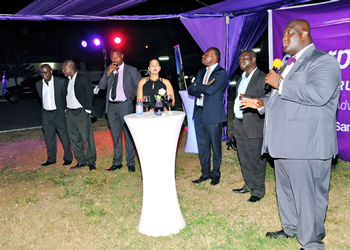 Speaking at the function the Enterprise Group Chief Operations Officer, Mr. C.C. 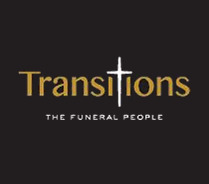 Bruce revealed the addition of Enterprise Funeral Service to the Group. They will be trading under the name Transitions and will start full operations before the end of the quarter. The Rep of the National Pensions Regulatory Authority Mrs. Rita Adzovie applauded Enterprise Trustees on the positive role it continues to play in the industry. She also assured participating employers of the support to the Regulator in ensuring the right practices were followed by industry players to ensure security in their retirement income. Group Limited with immediate effect. appointed to the Group Board with immediate effect. Mr. Emmanuel Idun will continue to provide strategic support to Senior Management on various Group projects as an Executive Consultant. operations as we enter the New Year. On behalf of the entire Enterprise Family, I extend profound gratitude to Mr. Idun for his immense and invaluable work over the past six years. Together we say a big ayeeko to him. I also congratulate CC, Dan and Fiifi on their appointments and wish them every success going forward. DreamOval Ltd, creators of Slydepay, Stanbic Bank and Enterprise Life Ghana are pleased to announce a partnership which allows payment of premiums using Slydepay. This integration is readily available at the Slydepay website at www.slydepay.com.gh/billpayments as well as the mobile app for Android and IOS. The partnership serves as an advantage for policyholders of Enterprise Life Ghana as it offers convenience, speed and security in paying premiums. Clients of Enterprise Life can now sit in the comfort of their homes and offices, avoid traffic, long queues and swiftly pay their premiums using Slydepay. Slydepay is an all-in-one money app that can be used to transfer money to any mobile money number, purchase airtime, internet data, and pay bills. Slydepay allows users link their Visa and MasterCard to make payments. Additionally, Slydepay enables users to make payments with mobile money irrespective of their mobile networks. Slydepay was developed by DreamOval and powered by Stanbic Bank. Organized as a limited liability company incorporated in Accra, Ghana in 2007, DreamOval is a software development house that Makes Life Simple through tech-based innovations. DreamOval pursues its passion to connect their strong internal community of young but highly skilled entrepreneurial team and an external community of successful Africans whose lives are tangibly improved by their work. DreamOval is Ghana’s 2015 Software Company of the year. For more information visit www.dreamoval.com. 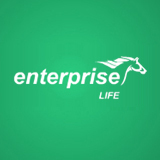 Enterprise Life operates as a specialist Life Insurance Company providing affordable and innovative life assurance products designed to meet the needs of our policyholders and the general public. We are Ghana’s leading life Insurance company - a position it attained in 2015 after fifteen years in business. Enterprise Life is a subsidiary of Enterprise Group in association with Sanlam a leading financial services group in South Africa. Kindly visit www.enterprisegroup.net.gh/life for more information. Enterprise…. Your Advantage! 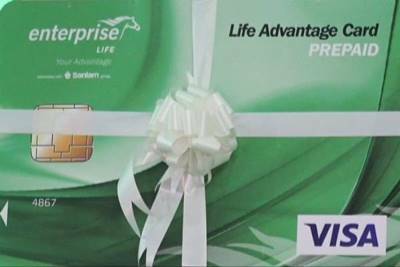 Enterprise Life Assurance in collaboration with some financial institutions have introduced a Loyalty scheme card which can also be used as a visa card for any insurance transaction. 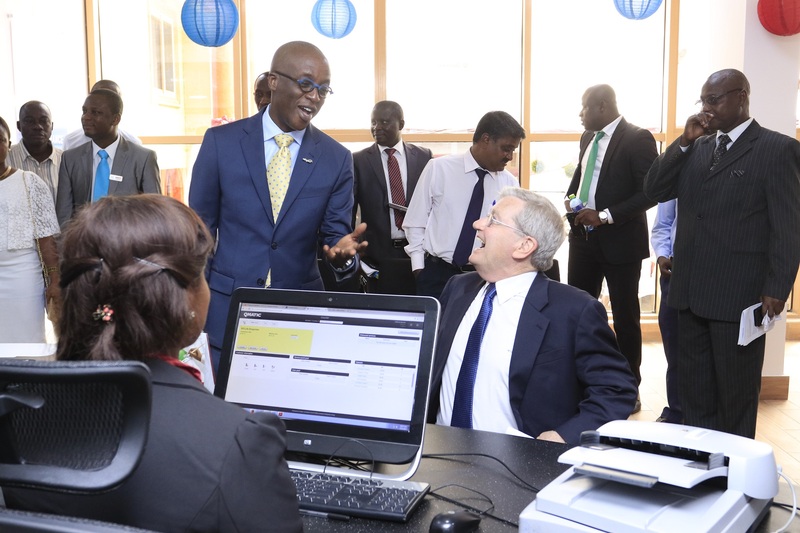 Speaking to JOYBUSINESS in an interview, Senior manager, Technical and life administrator at Enterprise Life, Bernard Ewusie Mensah noted that this is an innovative way of paying insurance claims to policyholders without hassle. According to him, this service is designed for the middle and high-class policyholders to avoid the challenges they go through during the time of claims payment. Speaking at the Launch in Accra, Executive Director of Enterprise Life, Jacqueline Benyi noted as a company, its strength and success have been in the low and middle markets space not having created any solution for the high end of the market. “With a resolve to offer solutions to all segments of the market to give them the enterprise advantage, we are happy to be launching the Enterprise Life Executive Products,” she said. This solution is been offered after a detailed research on what constitutes value for the high and middle-class sector of the market. Enterprise Life becomes the first Life Assurance Company offering such a product in Ghana. Enterprise Life in collaboration with Joy FM and as part of their corporate social responsibility commissioned a community library in the Upper West regional capital, WA. Speaking at the Commissioning the Executive Director of Enterprise Life, Jacqueline Benyi (Mrs.) said This library, we believe will serve not just the educational needs of the children but will also help inculcate in them the habit of reading and information gathering which is a critical success factor in the holistic growth of a child. Unfortunately this essential attribute of education has been largely neglected with the advent of social media. In addition it will help provide a place where children can come to and engage with other children instead of wandering the streets and being involved in all kinds of social vices. This Library she said, will give to these children what Enterprise Life has always given Ghanaians, an Advantage in Life. An Advantage to a better life, an Advantage to realize their innocent childhood dreams, an Advantage for them to be the best people they can be, an Advantage for them to be useful global citizens but more importantly for them also to provide an Advantage to others. Enterprise Life sees this project as an investment in the lives of the young people of this community. An investment that we believe the returns will inure to the benefit of everyone- their families, communities and the world at large. Indeed in our hearts we dedicate this building to the enhancement and empowerment of the WA child to pursue their dreams. Joy FM Business Development Director, Charles Van Dyck, said the purpose of the read 100 project is to rekindle the spirit of reading and it is the wish of the company to construct ten libraries in all the 10 regions in the country to achieve that dream. Wa Municipal Chief Executive, Issahaku Nuhu Putiaha praised Joy FM and Enterprise Life for their kind gesture and called on other organization to also emulate their example. Wa Municipal Director of Education, Fusaata Hamidu, stressed on the benefits children in the municipality will stand to gain with such a facility at their disposal. In conclusion Mrs. Benyi thanked God for the generous opportunity offered Enterprise Life through Multimedia Group to serve humanity, especially the pupils of WA Cluster of Schools and all stakeholders who made the completion of this project possible. 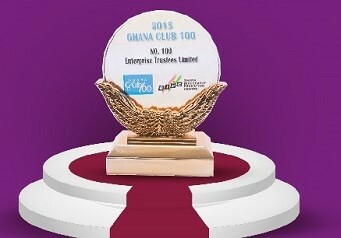 Enterprise Trustees Limited made its entry into the elite Ghana Club 100 on 26th August 2016. The Ghana Club 100 is an annual compilation of the top 100 companies in Ghana by the Ghana Investment Promotion Centre (GIPC) to give due recognition for achieving corporate excellence .The event which took place at the Kempinski Hotel was well attended with industry leaders in corporate Ghana present; including the President of the Republic, H.E John Dramani Mahama. 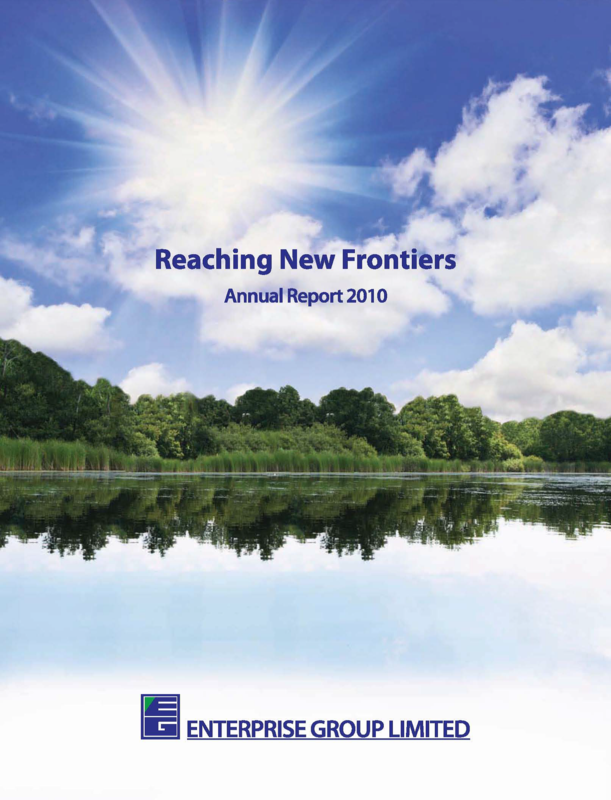 Enterprise Trustees Limited received operating license from National Pensions Regulatory Authority on 10th April 2012. Three years into its operations Enterprise Trustees Limited, the Pensions Subsidiary of the Enterprise Group Limited on the day was adjudged 100th in the elite league and the second fastest growing company in the league. This makes Enterprise Trustees the first and only Pension Corporate Trustee in this prestigious Club. It is a pleasure to welcome you to Enterprise Group Limited(EGL).EGL was incorporated on 24th November 2008, becoming the holding company of Enterprise Insurance Co. Ltd (EIC), Enterprise Life Assurance Co. Ltd (ELAC), Enterprise Trustees Ltd and Enterprise Properties Ltd.
Enterprise Insurance Co. Ltd was established in 1924 and is the oldest insurance company in Ghana.EIC was listed on the Ghana Stock Exchange (GSE) in 1991 becoming the first insurance company to be publicly listed on the Ghana Stock Exchange. In 2001, the Board of EIC in Partnership with Sanlam (of South Africa) formed Enterprise Life Assurance Co. Ltd (ELAC).ELAC and Consortium House Ltd(a property development company) thus became subsidiaries of EIC. 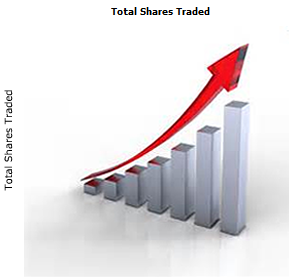 For the purposes of sustained growth and the ability to take advantage of profitable business opportunities in sectors of the economy apart from insurance as well as continually returning increased value to shareholders, clients and employees, a strategic re-organization of EIC and the relationship with its subsidiaries was necessary. EGL was formally listed on the Ghana Stock Exchange on the 17th of November 2010. The group is managed by a team of proven and accomplished professionals who bring their experience and expertise to bear in steering the affairs of the Group,ensuring exceptional service to our clients, job enrichment to our staff and increased returns to our shareholders and all stakeholders. We aim to be the Premier Financial Group in Ghana and beyond providing world class financial products and services to our cherished Clients and StakeHolders.The ENTERPRISE GROUP is a brand you can TRUST, because we will not rest until you are truly satisfied.